Calvin Short has paved a career path that now ranks him among the nation’s premier client advisors of acquisition and disposition single-tenant net-leased retail investments. In addition to his role as Senior Vice President and Senior Director of Single-Tenant Net-Leased Business for Matthews Retail Advisors™, Calvin serves as Director of the Sale-Leaseback division; within this role he provides customized programs, lease structuring and restructuring, and guarantor strength underwriting for the casual and fast-casual tenant types. 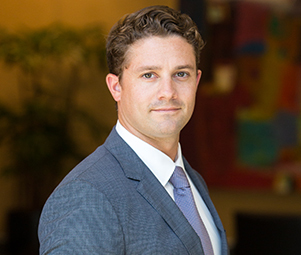 Calvin leverages a comprehensive expertise in the private equity sector and relationships with private investors, developers, institutions, and 1031 exchange buyers to execute and deliver for the betterment of his client’s investment position. Prior to joining Matthews Retail Advisors, Calvin focused in-depth on the acquisition and disposition of shopping centers in major metropolitan areas across the nation. During tenures at Hanley Investment Group, Colliers International, and Marcus & Millichap Calvin was individually recognized for his hard work and ability to amplify the exposure of his clients.